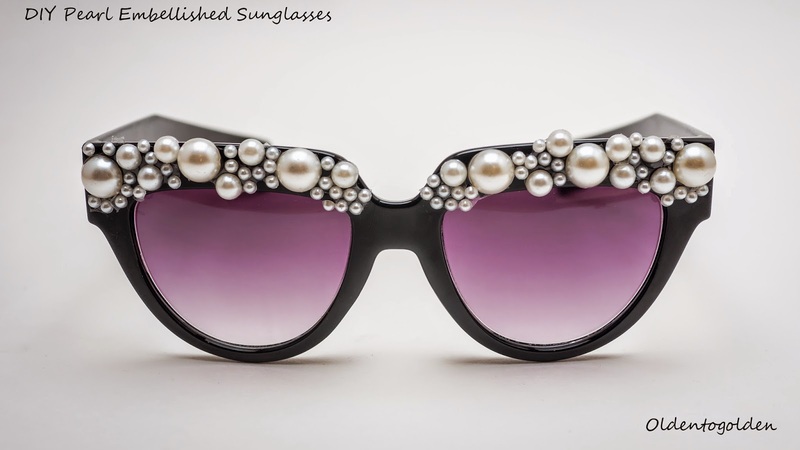 I'm kind of obsessed with all the cat-eyed and other vintage silhouettes of sunglasses currently in style right now. The more I study fashion (looking at pictures on the Internet) I'm starting to see that everything is inspired by an era foregone. Recently I'm really digging embellished sunglasses. I love pearls (aren't they just so classic!?) and came across these images. Being the crazy craft person I am I thought to myself, wow these can be easily made. And this is something I do with everything (expensive) I see -- I ask myself, can I make this and how can I make this better? 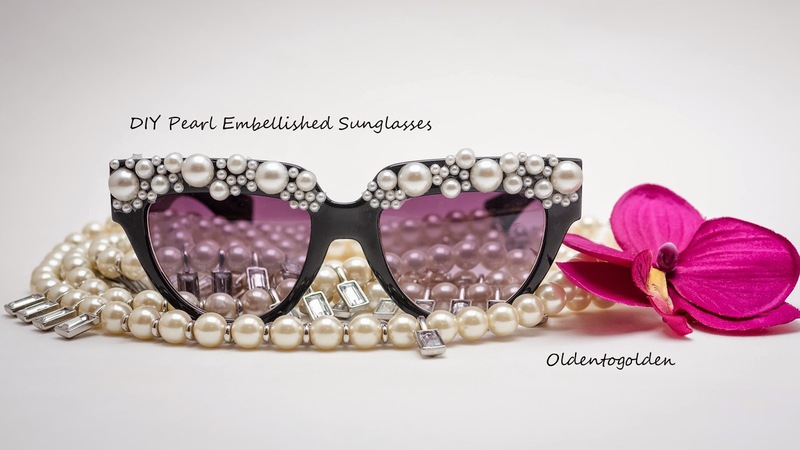 So I picked up a pair of cheap-o sunglasses at this wholesale market we have in Chicago and then the sticky pearls at Michael's in the jewel section. Strong glue (such as E6000) - be careful, I use this all the time but it can be messy! I just applied the pearls where and I wanted them making sure the Right side matched the Left side so that took a bit of though to make sure they were in the right places, but other than that, it's a pretty simple craft with a luxe end look.